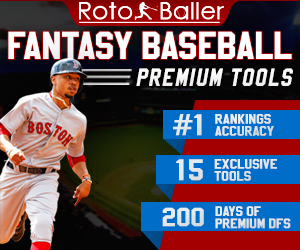 Every year the MLB Rule 4 draft, more commonly known as the First-Year Player Draft, gets a lot of attention from casual baseball fans and fantasy baseball players alike. In terms of fantasy relevance, though, the Rule 5 draft, which occurs during baseball's annual Winter Meetings, is far more impactful than the Rule 4 draft for redraft leagues. 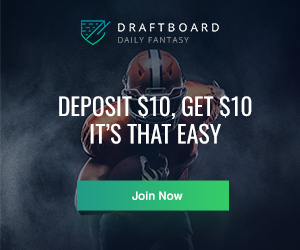 Last year's draft did not bring anyone to fantasy relevance, but that does not mean that we can't find fantasy-relevant players coming out of this draft. After all, Luis Perdomo, Joe Biagini, Mark Canha (remember him? ), Delino DeShields Jr., and Odubel Herrera were all Rule 5 draftees between 2014 and 2016. I think some of this year's selections can make an impact this year, and others will likely be relevant at some point in the next few seasons. 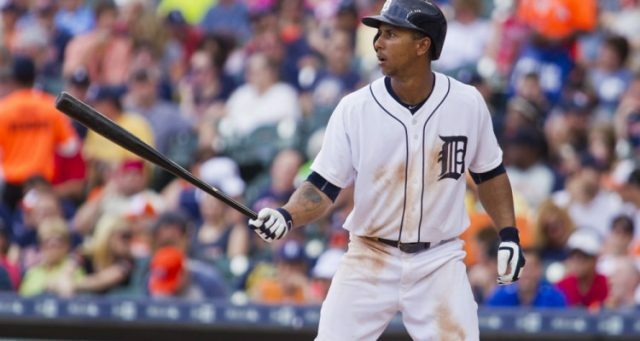 Yes, this is the Anthony Gose you're thinking of. Gose, after an abysmal 2016 season in which he was demoted from the bigs to Double-A, decided that he would try his hand at pitching. His efforts were not fruitless, though I would not exactly label his 2017 results a success. In 10.2 innings at High-A Lakeland, Gose pitched to a 7.59 ERA and 1.22 WHIP before injuries ended his season prematurely. His peripherals painted a much prettier picture, though: 2.65 FIP, 3.36 xFIP, and a ridiculously unlucky 35.7% strand rate that should normalize closer to 70% this upcoming season. Gose also reportedly reached 100 MPH on the radar gun several times and was able to strike out 11.81 batters per nine innings. Not bad for a former .240 hitter. After the 2017 season concluded, Gose inked a min0r league deal with the Texas Rangers and was promptly stolen away from them by the division rival Astros in the Rule 5 draft. The rules of the Rule 5 draft state that players must spend the year in the big leagues in order to be kept, so Gose is going to get some MLB innings for the Astros early in the year. 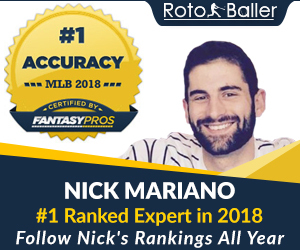 He's not a mandatory add in any format, especially given that he is currently blocked from accruing saves by Ken Giles, Chris Devenski, Will Haris, and likely Michael Feliz, but keep an eye out for Gose, because if he has success at the big league level this season, he could be a great ratio buffer for people in rotisserie and H2H category leagues. Burdi was selected out of Louisville by the Minnesota Twins with a second-round pick in 2014. The Twins believed Burdi to be a reliever through and through, and that's evidenced by the fact that he has never made a start at any level in the minors. With that being said, he's been a very good reliever during his three years and change in the minors, pitching to a 3.20 ERA, 1.23 WHIP, and 12.3 K/9 across four levels. Burdi was off to a hot start in 2017 (0.53 ERA, 0.77 WHIP, 10.6 K/9 at Double-A), and likely would have found himself in the mix for saves in the big leagues by the end of the year had he not needed Tommy John surgery. The Twins presumably left Burdi unprotected in the Rule 5 draft due to his injury, and Phillies took advantage of this by selecting him and then promptly trading him to the Pirates for international bonus pool money. Burdi will now unite with one of the best pitching coaches in the game in Ray Searage. The Pirates have a knack for making studs out of relief pitchers as they have done with Juan Nicasio and Felipe Rivero in the past two seasons, so I expect Burdi to pitch with a similar level of success to the aforementioned pitchers. He may start the season on the disabled list if he needs more rehab time, but once he returns to action he could very well be in the mix for high leverage work (or even saves if the team opts to deal Rivero) in Pittsburgh. Reyes was signed by the Braves as an international free agent in 2015 out of his native Venezuela, then traded to the Diamondbacks in exchange for a second-round pick. He has triple-slashed .298/.347/.379 over six different minor league levels, but his most attractive asset is his speed. He's not terribly efficient at stealing bases (80/135 over his regular season career, good for a shade under 70%), but he has been running more often as of late. Reyes has swiped 38 bags during regular season play since the start of the 2016 season and, perhaps even more impressively, stole 12 bags in 20 games (and was caught just once!) while slashing .316/.333/.405 during this year's Arizona Fall League. Perhaps Reyes' success can be attributed to a small sample size of 20 games, but the AFL generally has some of the top minor leaguers participating, so he has demonstrated that he can hang with the big boys. The Tigers also have very, very low expectations for this upcoming season, so expect Reyes to get a very long leash to prove himself in the big leagues. He's nothing more than a watchlist add for now, but he is certainly an intriguing guy to keep an eye on. Milbrath had been with the Cleveland Indians ever since he was selected by them in the 35th round of the 2013 draft. Prior to 2017, he had only once registered an ERA under 4.00 over the course of an entire season (3.95 at Single-A Lake County in 2014). He finally found his groove in 2017, pitching to a 3.02 ERA between High-A and Double-A. This prompted the Pittsburgh Pirates to steal him away from the Indians in this year's Rule 5 draft. Milbrath is a reliever, so he likely will not begin the season with much fantasy relevance, but he, like fellow Rule 5 draftee Nick Burdi, is joining pitching wizard Ray Searage. Given Searage's history of developing pitchers, I would not be surprised to see Milbrath develop into a valuable big league bullpen piece in 2018. Milbrath is yet another watchlist candidate, and could very easily see high-leverage work if he gets off his MLB career on the right foot. 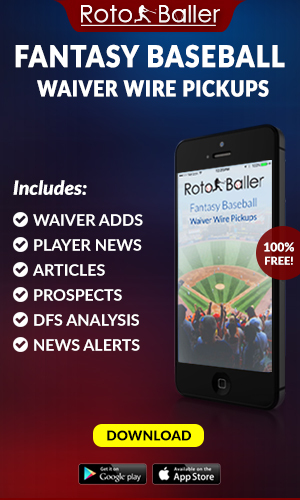 Sometimes in fantasy baseball, opportunity trumps talent. Fortunately, Hernandez has both. Hernandez sits 6'0" with pretty solid stuff, as shown by his 10.8 K/9 in 73.1 IP over two minor league levels in 2017. The righty has mostly been a starter throughout his minor league career and should get an opportunity to compete for a rotation spot during Spring Training. If he winds up in the rotation, he becomes a far more intriguing arm than if he ends up in the bullpen, which is far more likely. However, the Marlins are in ultra-rebuild mode, so I would not be shocked to see Hernandez get a shot as a starter in 2018. Hernandez is yet another watchlist add for now, but if he makes the starting rotation, he could be an intriguing pickup in 2018. To read more by Max, click here. You can follow him on Twitter @metsfanmax.